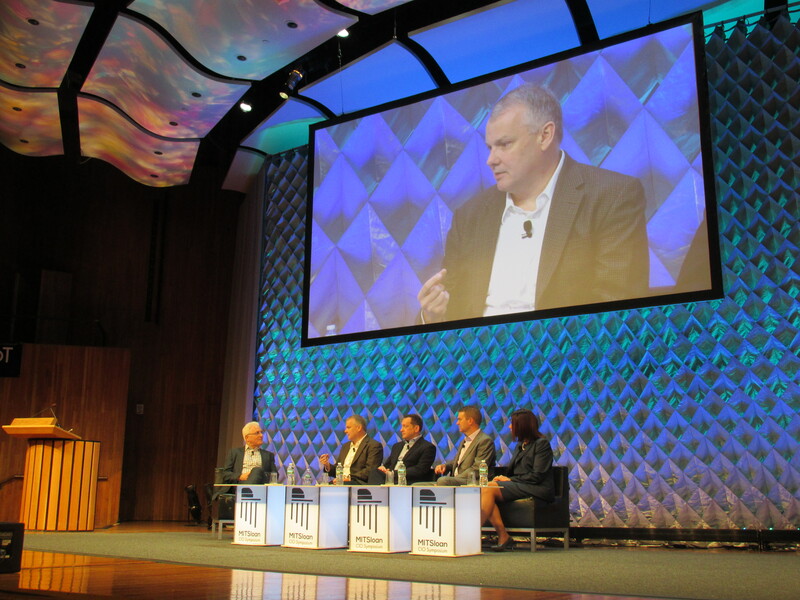 At an event that emphasized the role the CIO plays in digital transformation, the IT chief at General Electric made clear what the CIO doesn’t fill there: the chief digital officer role. 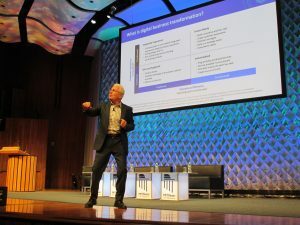 “If you’re bringing a chief digital officer inside the company to make the company work more effectively, more productive — that’s the role of the CIO,” said Jim Fowler, vice president and CIO at GE. He was speaking at the MIT Sloan CIO Symposium in Cambridge, Mass., on Wednesday. The chief digital officer, which shares the initialism CDO with the chief data officer, should be focused on commercial products, Fowler said — “software and analytics that you want to sell outside to your customers” — and how to develop and market those products. “That’s the value,” he said. 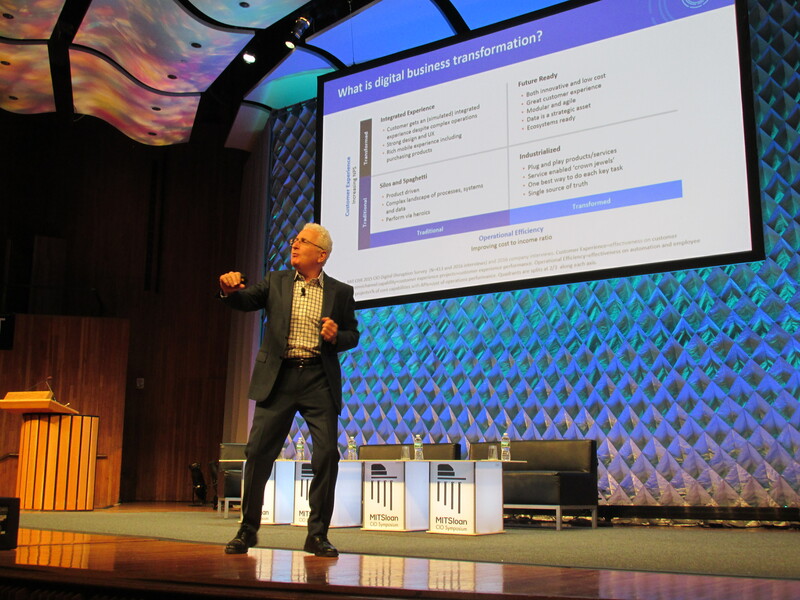 Peter Weill, chairman of MIT’s Center for Information Systems Research, said companies that offer innovative digital products and have data connections across services, making internal and customer operations seamless, see a significantly higher net margin than competitors do. “So that’s high stakes,” Weill said in a keynote address at the symposium. As director of IT, the CIO plays a critical part as organizations make the shift from solely physical products and services to digital ones. But the chief digital officer role has drawn lots of attention, too, with some predicting that many CDOs would eventually replace CIOs in their organizations. But Fowler’s comments affirm the view that gives the CIO and CDO discrete job descriptions, with data governance, IT security and cost-effectiveness the purview of the CIO and product design and marketing strategy the CDO’s. Celso Mello, CIO at Canadian home heating and cooling company Reliance Home Comfort, analyzed the roles in an article on SearchCIO’s sister site, SearchCRM. Fowler spoke about the CIO and CDO in the context of massive changes at his 125-year-old company. At the center of those changes is the “customer experience.” So companies in the market for industrial equipment like gas or steam turbines get machines that “run better, run longer, run more efficiently,” he said. For Fowler, as head of IT, that means building “digital twins” of those physical assets and hooking them to data and analytics, connecting that with processes running in-house and externally in customers’ facilities. Fowler admits that “underneath the covers, there’s a ton of overlap” between the CIO role and the chief digital officer role, and he even reports to GE’s CDO, William Ruh. 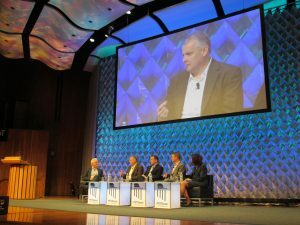 For more insights on digital transformation from CIOs at the MIT Sloan CIO Symposium, read this SearchCIO report.